Throughout the history of Mankind, numerous empires have risen and fallen, and the uniquely enduring testimony that remains today of their greatness is their art. From antiquity, Filipinos have skillfully expressed their innermost stirrings using whatever medium they would have at hand, starting from the ancient stone hieroglyphs of Angono, Rizal and in Pre-Hispanic art as represented by the Manunggul jar and by intricate gold jewelry and artifacts found throughout the Islands. Philippine art then evolved through four centuries of Christian religious iconography and European-inspired paintings and sculpture that won acclaim in international art circles of those times. In the 1950s, the Modernist wave in art sought to represent the world differently, breaking away from the artistic conventions of the past and redefining artistic expression in both form and medium. In the Philippines, post-war trailblazers such as Victorio Edades, Jose Joya and Nena Saguil began a movement that continues to influence Filipino artists up to the present. Even today, masterful creations in both conventional visual media and contemporary electronic art continue to prove beyond doubt that Filipinos stand among the best artists in the world. And in the years to come, every new generation will continue to transform artistic expression and reinvent its definition of Filipino art. 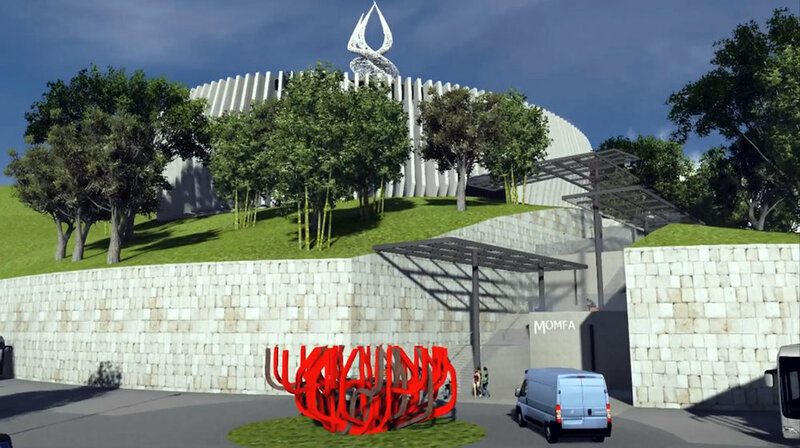 To stand proudly on a ridge of historic Mount Samat in Bataan, MoMFA aims to showcase the best of modern and contemporary Filipino art and to instill in future generations an abiding love and pride in their cultural heritage. Aside from the structures that will preserve and display the art collections, activities such as exhibits, competitions and workshops are being designed for the MoMFA vision to live on in the generations to come. The site on which the Museum of Modern Filipino Art will be built consists of two-and-a-half hectares of land on a ridge of historic Mt. Samat in Diwa, Pilar in the province of Bataan. Surrounded by lush mountain greenery, the panoramic views afforded by the structure will be truly breathtaking. The Museum will have three buildings and grounds designed by Architects Jason and Anne Abustan. The interlinked structures will feature walking ramps, exhibition and performance galleries, activity and meeting halls, library and office space, as well as warehouses for storage of art collections. External areas will accommodate sculpture gardens, shops and refreshment facilities. 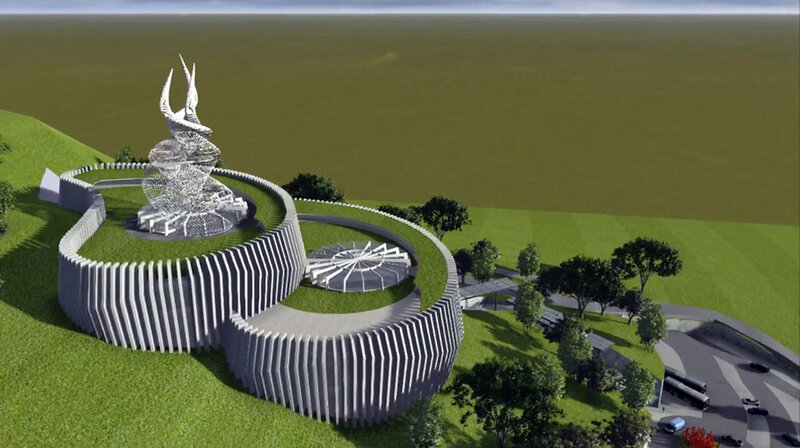 As the most striking feature of the building complex, the roof on the uppermost building will be shaped like a flame, representing the creative spirit of man, a gift from the Divine Creator. The entire MoMFA facility is designed to be environment friendly and carbon neutral, taking advantage of solar and wind technology and the natural cooling properties of a splendid mountain location.